The TMA is excited to announce that our partnership with the Center for Courageous Kids (CCK) in Scottsville, KY continues with our 2018 TMA Family Camp. Be sure to mark your calendars for Sunday, July 22 through Thursday, July 26, 2018, for the next annual TMA Family Camp! To begin the application process, please complete the form located at http://tma.ong/2BBlSZs. A TMA staff member will contact you via email within 48 hours to share additional information about the application process. Families with children diagnosed with ADEM, NMOSD, TM, ON and AFM who are 5 to 17 years old are eligible to apply to camp. Camp is open to families around the world. Applications are welcome from older and younger children, who may be accepted on a case-by-case basis. If you are uncertain about your eligibility, please complete the initial application and we will be in contact with you if there are any questions! Up to two adults living in the same household as the camper and the camper’s siblings may participate in camp. All applicants must be members of the TMA. Membership is free. If you are not a member, please complete the membership form prior to completing the initial application: https://myelitis.org/join. Families will receive detailed information about arrival and departure times along with their acceptance confirmation directly from CCK. In general, most families arrive at camp around 3:00 pm on the first day of camp. Camp closes at noon on the last day of camp. The closest airport is Nashville, Tennessee. It is your responsibility to arrange for transportation to and from camp. CCK and the TMA are unable to offer transportation to and from camp. For a listing of ground transportation options between the airport and camp, please contact the TMA at tmakids@myelitis.org. Please do not make airline reservations until you receive an acceptance email or letter from CCK. There is no cost for families to come to camp besides personal travel expenses. The TMA and CCK have a partnership under which we cover the cost of camp. The TMA will be able to offer limited financial assistance based on need and eligibility, via travel grants to families. All accepted families will receive an email with an application form and guidelines to apply for this funding in early summer 2018. They will be offered on a first come, first served basis to eligible families until grant funds are no longer available. Grant funds are disbursed as reimbursements and only once each of the grant requirements are met. 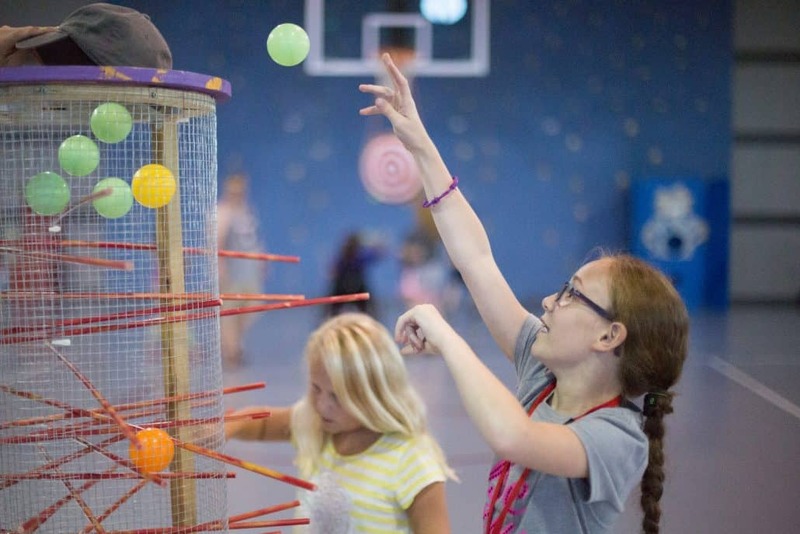 Medical professionals and specialists from our community will be attending camp and provide a three-day education program for the parents and any of the children, teens, or young adults who attend camp and are interested in the education program. All medical volunteers attending the TMA Family Camp have been invited by the TMA to join as camp volunteers and to participate in an educational program during the camp. The medical volunteers may share their experience and make recommendations, but will not be able to provide specific medical advice. Please feel free to contact us at any time for additional information or to learn more about our Family Camp! 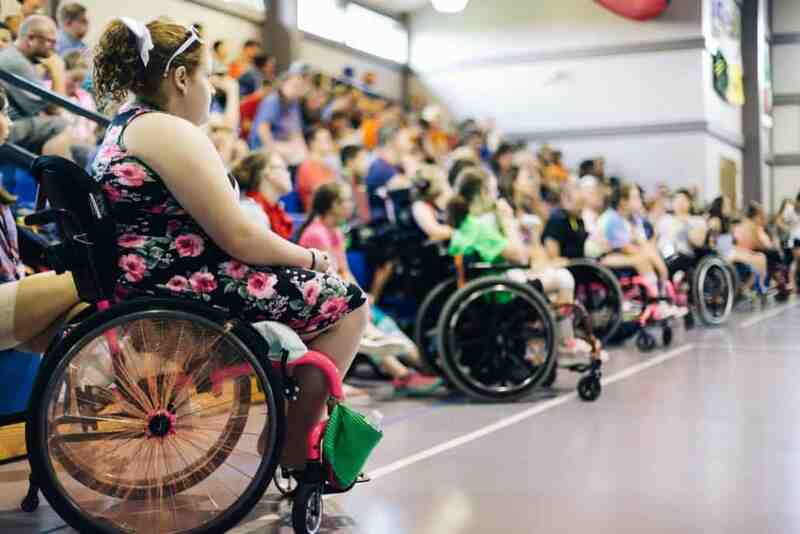 Rebecca Whitney: rwhitney@myelitis.org |1-855-380-3330 ext 5.
https://myelitis.org/wp-content/uploads/2016/02/blog_tma_camp.jpg 406 610 The TMA https://myelitis.org/wp-content/uploads/2018/08/TMA_Logo_High_Res.png The TMA2018-02-23 12:41:142018-06-14 13:49:58Announcing the 2018 TMA Quality of Life Family Camp! As a kid, I never attended sleep-away camp, so I did not know what to expect when Sandy and I drove up to the Center for Courageous Kids on Saturday afternoon. The bright blue roofs of the camp’s housing and recreational buildings paired with the green fields of grass painted a beautiful landscape that helped build my anticipation for the next five days. As the newest staff member of the TMA, I was excited to meet the families and learn from their experiences with rare neuro-immune disorders. I had been told by other TMA staff that I would gain a perspective from the TMA community that I could not have attained without attending camp. I was not disappointed. Over the next few hours, camp became a whirlwind of excitement as the families arrived and activities began. Returning campers quickly jumped into the swing of things and helped show new families the ropes. I was amazed by all the activities offered by the camp! Horseback riding, fishing, archery, swimming, bowling, arts and crafts, woodshop, cooking, and so much more. I could see why this camp was so unique and special: the kids were able to just be kids. They were not limited by any disabilities. They didn’t have to worry about whether their wheelchair or walking aides would prevent them from participating. They were all on an equal playing ground. I felt the joyful and carefree atmosphere with every laugh and smile from the kids, and I was thankful to be a part of it. 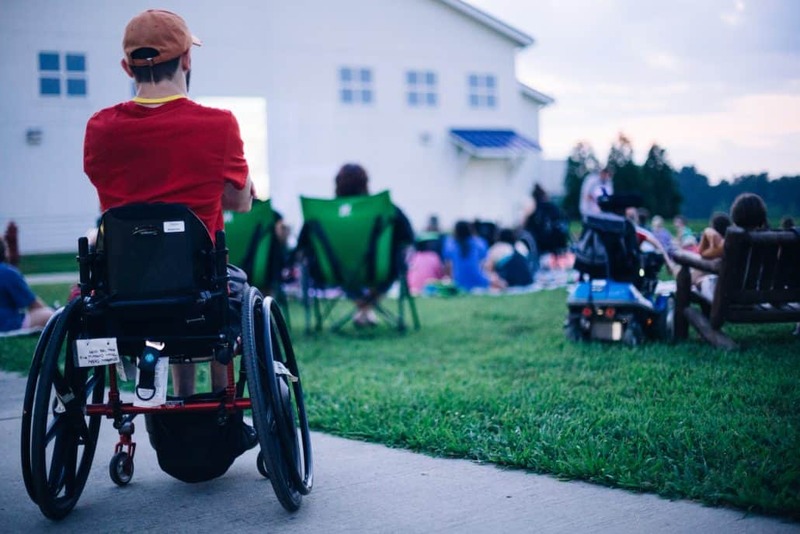 One of the programs the TMA Quality of Life Family Camp offers is an educational session from leading medical experts in the field who also attend camp. While the kids were occupied by carnival games and other activities with the counsellors, their parents were able to learn from the medical experts and ask questions about all aspects of their children’s care. As I sat in on these sessions, I gained a deeper understanding of just how complicated and stressful it can be to care for a child with a rare neuro-immune disorder. There is a lack of understanding by many medical professionals who are not as informed as our experts, and it can cause unnecessary hardship and frustration to our community. One important conclusion I drew from listening to these sessions is that scientific research needs to be made more available to families so that they can provide this information to their health care team. As a result, I have become more resolved to review research and ensure summaries of this research are readily available for our members who rely on it. Among the many benefits of camp, one of the most apparent is the connection made between families. Camp creates a unique atmosphere where families can find comfort in their shared experiences and ongoing realities. Relationships are formed in the dining hall, where families share meals sitting side-by side at long tables, and in the lodges during free time in the mornings and nights. 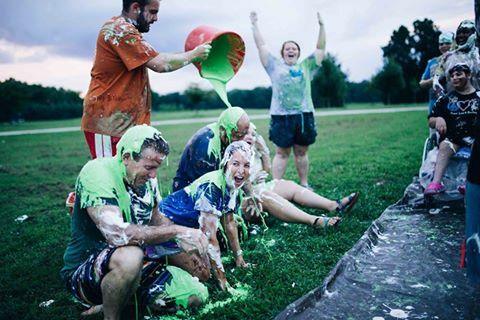 They are formed while the families smear shaving cream and oatmeal on one another during Messy Games, and while they watch their kids sing and dance on Stage Night. I was a little worried coming into camp as an “outsider”, someone who has never had a rare neuro-immune disorder or known someone with one of these diseases before working for the TMA. However, I was easily swept into the community umbrella that camp created. Connections were made based on compassion and understanding, despite age or diagnosis or overall experience. I was happy to witness families exchange contact information and Facebook friend requests on the last day, knowing the connections they made were valuable and would extend beyond the bubble of those five days. By the end of camp, I could not tell the difference between returning campers and first-timers – everyone had become family. To say that my first time at the TMA Quality of Life Family Camp was successful is an understatement. The entire experience far exceeded my expectations, and I am grateful for each moment I spent with the families and medical experts. From the wonderful counsellors to the jam-packed programming, the Center for Courageous Kids provided us with everything we could have wanted out of a camp experience. Going forward, I’m excited to continue the TMA’s work on education and advocacy programs, and I can’t wait to do it all again next year! 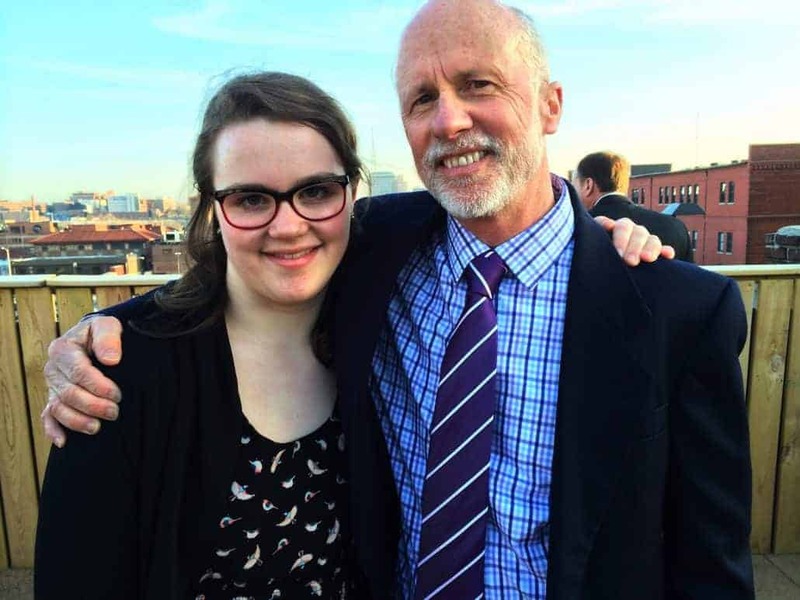 On the fourth night of my daughter’s sudden hospitalization, when the diagnosis of transverse myelitis seemed pretty definitive, I was sitting in a spare wheelchair at the end of the corridor of Boston Children’s Hospital, staring out of a large plate glass window as a blizzard flew into the city. My wife and a nurse were attending to Ella and I was sent out of the room. In that seat, by the window, hearing the beeps and alarms of all that medical equipment in all those children’s rooms, I wondered how I–how we–were ever going to survive this emerging catastrophe. On Thursday, she and her brother ran out the door to catch the school bus, and by Sunday my wife and I were alternating between panic and despondency, hanging onto every small piece of hope we were offered. I acknowledged that some parents on our wing were facing something far more profound than paralysis, but at that moment, alone by myself, in tears, and at the mercy of an immune system gone haywire, I had never felt so completely isolated and untethered. One day all is good, the next day you’re falling from 36,000’. We returned home to a welcoming and loving community of friends who made us meals, and had helped with my son while we were two hours away in Boston. They made it very clear they were there for us in any way they could be. The ramp had been built while we were at the hospital, the stair machine installed, the middle school was busily fixing desks and bathrooms, and by the time Ella wheeled into the house for the first time in two months, everything seemed sort of…normal – even if it was a new kind of normal. She transitioned into school amazingly well, and we all settled into life in a way that was oddly not too different than prior to her attack. The fear my wife and I had been battered by for weeks had morphed into a kind of bland acceptance. But at unexpected moments, with or without Ella at my side, the isolation returned with a vengeance: when I saw teenage girls skipping down the street; when parents from her old swim team would post pictures from swim meets on Facebook; the day I gave her old bike to a friend with a young girl. That’s when I’d say to myself “No one knows what this is like.” I knew that somewhere out there someone did, but not in my life, not in my social orbit. When we first heard about the TMA Family Camp, I was intrigued but skeptical. We were secular New Englanders and this was the Bible Belt. Would Ella fit in? Would camp rub her condition in her face or help her find a community? Would we click with the parents? Would we be barraged by zealots offering sketchy “alternative” treatments? I don’t think we ever considered not going, but being a part of a “medical condition community” was new territory for us and we were unsure what camp was going to provide or whether it was worth the effort. But a community was waiting for us. On the first night, sitting at a picnic table with two parents sharing stories and laughing in the face of this awful thing we are a part of, I felt like I could finally breathe. These people had been in the Transverse Myelitis world for years (for us it was just months) and they were OK. They could laugh. They had perspective. They were living their lives fully. The world wasn’t over. Over the course of four days, that kind of talk happened continually. And when we met with Dr. Greenberg and his colleagues in the afternoons, I realized the value of this community, medically and emotionally. I’m still not at peace with what’s happened to my daughter, or any of these wonderful kids. I still have my moments of sadness and anger. But we’re much better off because of the TMA Family Camp. My daughter has a family of fellow TMers, and my wife and I know that all the wonderful people we met in Kentucky have our backs as we have theirs. Enduring your child’s illness is a brutal journey, but the human connections we make along the way–the kinship and support we get from those who are along for the ride–somehow makes things work when you think nothing will. For me, that is the essence of the TMA Family Camp. It’s inspiring to watch these kids face TM with courage. And to believe that you can carry on as a parent with the same humor, balance and wisdom as before–that’s a gift. With Father’s Day fast approaching, thank the dads who have made a difference in your life. Support children and families diagnosed with rare neuro-immune disorders by giving them a chance to attend our Annual TMA Quality of Life Family Camp; we will honor your loved one by sending them a Father’s Day Card on your behalf. The TMA Quality of Life Family Camp is a unique and life changing experience that provides children and families living with rare neuro-immune disorders (ADEM, AFM, NMOSD and TM) a chance to experience the joys of a completely accessible camp and engage with leading medical practitioners so they can be better advocates for their own health. At camp, these children can be themselves, free of fear and stigma and not be reminded of their daily challenges. 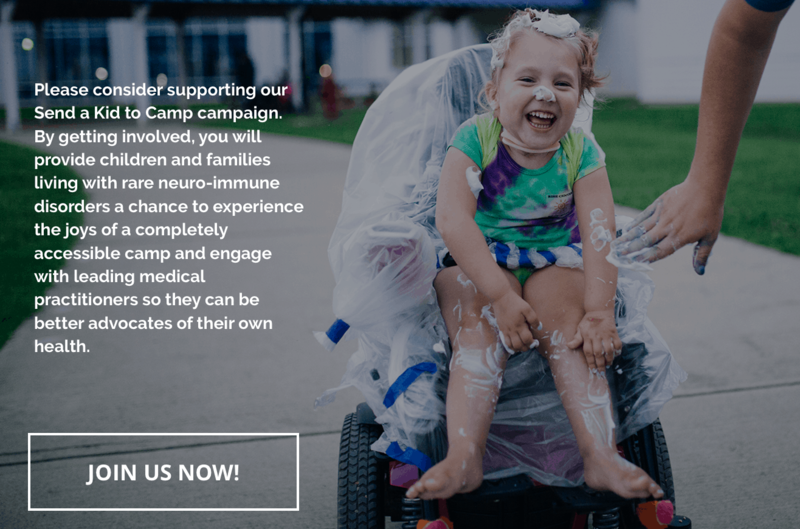 Our heartfelt gratitude goes out to you for helping families of children diagnosed with a rare neuro-immune disorder attend camp by supporting our Mother’s Day campaign. We celebrated moms and raised over $2,000 during the campaign which will directly help the 30 families we look forward to greeting at the Center for Courageous Kids (CCK) this summer! 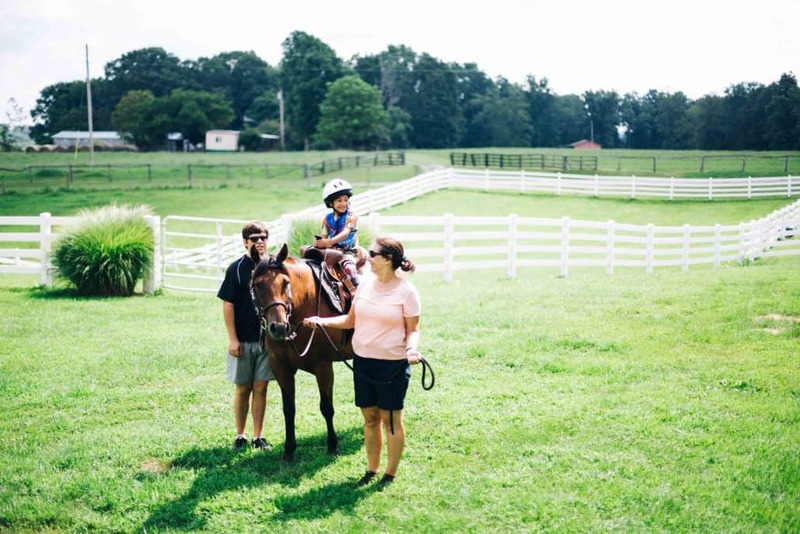 TMA Family Camp is a unique opportunity for families of children living with one of the rare neuro-immune disorders to come together to learn, find support, and enjoy the fantastic time CCK provides to our families. In past years, we have welcomed families from around the world, and this year, we hope to have another wonderful group of 30 families from across the United States and Canada. 26 have confirmed attendance thus far, and there is still room for a few more! Camp wouldn’t be possible without the dedication of parents and caregivers. Parents play a vital role in the everyday lives of children diagnosed with these disorders. 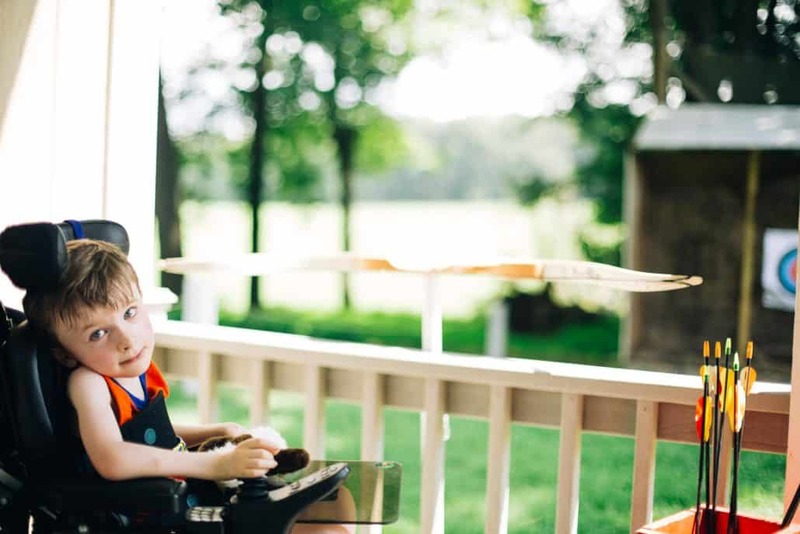 It is their love and devotion to learning about their child’s diagnosis, and providing support and advocacy for their child that makes The TMA Annual Quality of Life Camp a success every year. We celebrate these families and parents who work tirelessly to provide the best for their children. We thank you for helping us celebrate our Moms, and now, it’s time to celebrate our Dads! Honor your father this Father’s Day with a donation to support families attending TMA Family Camp, and we’ll send a card on your behalf, celebrating you and your father. 100% of your donation will support families of children diagnosed with rare neuro-immune disorders by giving them an opportunity to attend our Annual TMA Quality of Life Family Camp. You can read more from the moms and dads who have experienced TMA Family Camp firsthand, and you’ll know the positive impact your donation has on the children and their families when they have an opportunity to spend a few days of their summer at CCK! I know it sounds cliché, but it is the truth when I say that my most challenging, yet most rewarding job, is being a mom to my three children. There are days when I am so exhausted from the physical and emotional strain, that I simply can’t sleep. I’m just that tired and overwhelmed. Then there are the days when I am elated and have a sense of peace because my children’s smiles, excitement, happiness, or joy is so conspicuous it permeates through to my heart and soul. When the stressors of a rare diagnosis such as TM compound the day’s exhaustion, the moments of peace and happiness can seem to be few and far between. Those moments are still so precious and hold a very special place in my memory and my heart. One of these special moments, in particular, was when our family attended the TMA Family Camp for the very first time. It was a time in our lives when we were coming to painful realizations that our family’s life, our son’s life, were indeed very different from most of our family and friends with children because of our son’s diagnosis. It was when he also really started to understand that some of these differences weren’t going to change; that he wasn’t going to grow out of the challenges he had always known. The same year we attended camp for the first time was the same year our son had met another young boy with the same diagnosis. He had found a comfort in getting to know him and was excited that his family was attending camp, too! At camp, we met many other families who understood what made our lives different from so many other families – but we were so much like the families at TMA Family Camp. Some had been on this daunting journey for many years already, and others were newcomers to this world of “rare,” and they had bewilderment in their eyes much like I know we did when we heard our son’s diagnosis. My other two children even remarked after our first day at camp how it was so comforting not to feel so “different” from everyone else. We were able to talk with medical professionals from world-renowned centers that we never even fathomed we may have access to for our son. We learned so much as parents and as a family from not only the medical professionals attending, but from the other families, parents, and children. We came away with a renewed sense of hope and a fighting spirit. My son had cried the night before we had to leave, he simply didn’t want to leave the magical place of camp and his new-found friends. He had found joy in attending the camp that he hadn’t experienced before, and it was so hard to leave to go back to our day-to-day routines. It was tough to see him so sad about leaving, but I knew it was only because of the happiness and excitement he had found with this extended family; a family we knew would be a part of our lives for the long-haul. It is my sincere hope that if a child, a parent, or a sibling, must face a life-changing diagnosis of one of the rare neuro-immune disorders, that they may have at least one time at TMA Family Camp with their TMA family. My life as a mom caring for a child with TM, my son’s life, my entire family’s life changed after our first time attending camp. We found perspective and hope, a joy and a sense of peace that I’m not sure we would have found otherwise. This mom found other hearts who knew what her heart had been and was going to go through. This Mother’s Day, celebrate the moms in your life and the love they have shared. Support children and families diagnosed with rare neuro-immune disorders by giving them a chance to attend our Annual TMA Quality of Life Family Camp; we will honor your mother by sending them a Mother’s Day Card on your behalf. We are excited to announce that our TMA Family Camp will be held Saturday, July 15 through Wednesday, July 19, 2017 at The Center for Courageous Kids (CCK) in Scottsville, KY.
To start the application process, please complete this online form. A TMA staff member will contact you via email within 48 hours to share additional information about the application process. Families with children diagnosed with ADEM, NMO, TM, ON and Acute Flaccid Myelitis (AFM) who are 5 to 17 years old are eligible to apply to camp. Applications are welcome from older and younger children, who may be accepted on a case-by-case basis. Up to two adults living in the same household as the camper and siblings may participate in camp. All applicants must be members of the TMA. Membership is free. Become a member. Families will receive detailed information about arrival and departure times along with their acceptance information from CCK. In general, most families arrive at camp around 3:00 pm on the first day of camp. Camp closes at noon on the last day of camp. The closest airport is Nashville, Tennessee. For help with ground transportation between the airport and camp, please contact the TMA at tmakids@myelitis.orgwith travel information. Please do not make plane reservations until you receive an acceptance letter from CCK. There is no cost for families to come to camp besides personal travel expenses. The TMA and CCK have a partnership under which we cover the cost of camp. The TMA will be able to offer some financial help, based on need, via travel grants to families. All accepted families will receive an email with an application form and guidelines to apply for this funding in approximately May 2017. They are offered on a first come, first served basis until grant funds are no longer available. Grant funds are disbursed as reimbursements once grant requirements have been met. Medical professionals and specialists from our medical community will be joining camp and provide a three-day education program for the parents and any of the children, teen or young adults who attend camp and are interested in the education program. All medical volunteers attending the TMA Family Camp have been invited by the TMA to join as camp volunteers and to participate in an educational program during the camp, where they will be able to share their experience and make recommendations, but will not be able to provide specific medical advice. After completing her residency in neurology, Dr. Sara Qureshi did a fellowship in neuro-immunology at the University of Texas Southwestern in Dallas. She studied with Dr. Benjamin Greenberg, one of the leading specialists in TM, ADEM and NMO, director of the TM and NMO Center and board member of the TMA. Sara became a specialist in these rare neuro-immune disorders. Upon completion of her fellowship, Dr. Qureshi began her clinical career at the Billings Clinic in Montana. She is an avid hiker and loves the outdoors; she picked the right place. Through her training and experience, Dr. Qureshi has become an important member of our medical community. She was invited and we were thrilled that she was able to attend camp, which was held this year from July 31-August 4, 2016 at the Center for Courageous Kids in Scottsville, KY. I have been communicating with Sara through emails; this was my first time meeting her. Working at the Billings Clinic, Dr. Qureshi has patients from the many reservations across Montana, Wyoming, the Dakotas and across the western US. Sara is an excellent doctor and she has a heart the size of Montana. She has been caring for a young boy from the Sioux tribe who has NMO. This is a horrible autoimmune disorder; a person can have multiple inflammatory attacks over time that impact the spinal cord and the optic nerves. This boy has already had 3 attacks at a very young age. Most of the physicians they have been dealing with have been significantly under-informed, and his care had been less than adequate before the family found Dr. Qureshi. This family lives on the Ft. Peck Reservation in a small community called Poplar. I know Poplar, as I once attended a Halloween pow wow there. For two years, from 1976 – 1978, I lived in a small community on the Ft. Belknap Reservation; the reservation just to the west of Ft. Peck in northern Montana. I did my dissertation research in Hays as a cultural anthropologist; I lived with the White Clay People and French-Chippewa-Cree or Metis. The reservation was also home to the Assiniboine tribe. In addition to my research, I also taught social studies at the Catholic mission school, I was a bus driver and janitor, I helped with the chickens and the potato plot, I sold bingo cards on Thursday nights, I taught hunting safety through the Montana Fish and Game Department, I served on the public school PTA, I taught anthropology courses through the Intertribal Education Center, and I also taught GED classes. It was an interesting two years. 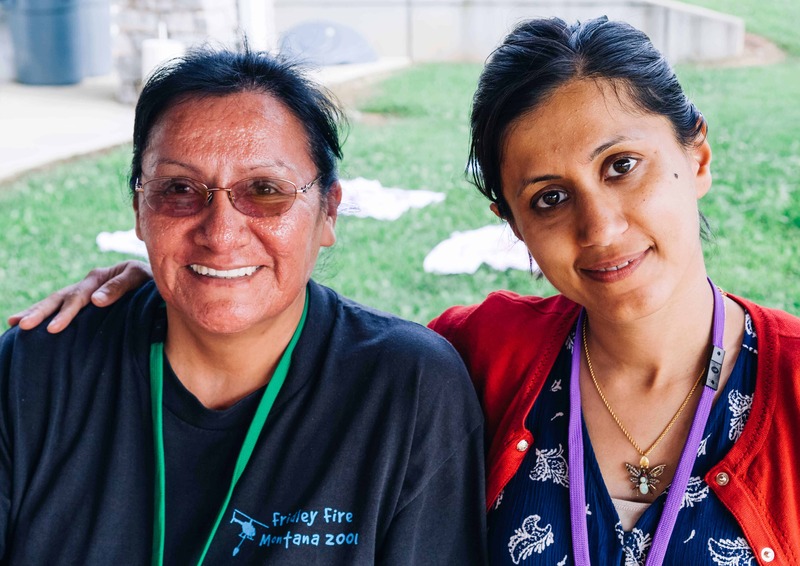 I’m pretty sure that I was the only Jewish person who has served in the Jesuit Volunteer Corp.
Dr. Qureshi wanted this family to come to camp and she worked with them and advocated for them to get there. Dad told me that they drove down on the back roads so that he didn’t put too much wear on his old van. I’m still trying to imagine the back roads from Montana to southern Kentucky. They saw a pretty good chunk of America. We had a great camp – 30 children with TM, ADEM and NMO – 30 families, including a family from Australia. And of course, we brought Abhijit Ganguly, our support group leader, from Kolkata, India. We had an awesome group of physicians for our education program and all of our James T. Lubin Fellows attended; the 2 who had completed their programs, and the 2 who are just about to begin their two-year fellowships this month. I make a point of introducing myself to all of the new families – and about half of the families were new this year. And I spend time with the families that I have come to know over the years… Pauline and I love that we have watched most of these children grow up – some of them are starting college and some of them are beginning careers and having families. Totally cosmic. I made a point of spending time with this family from Montana. They had an awesome time. Their son’s medical care is very complicated because little is known about NMO and he needs to be on an immune suppressant to lessen the chances of more attacks – or to lessen their severity should they happen. 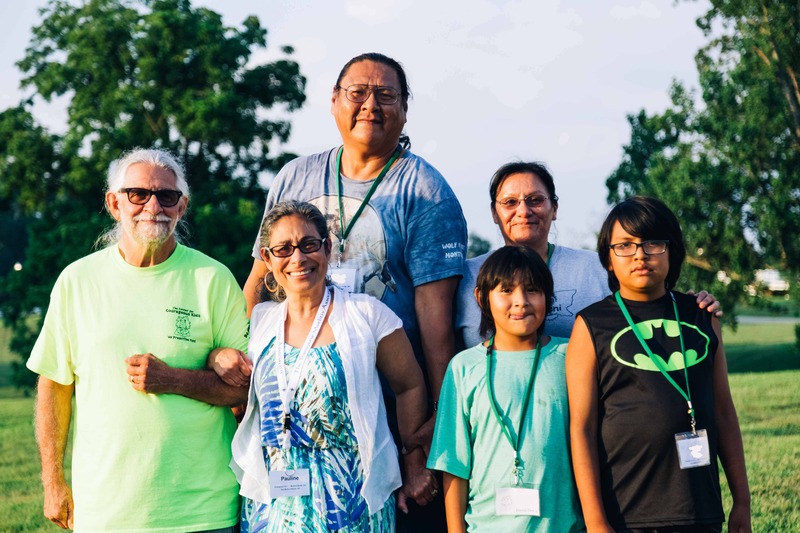 They are so fortunate to have Sara in their lives – most people on a reservation would not be receiving the kind of medical care that they are getting from her for a very rare disorder – and it is just a 5-hour drive away… not too bad by Montana standards. 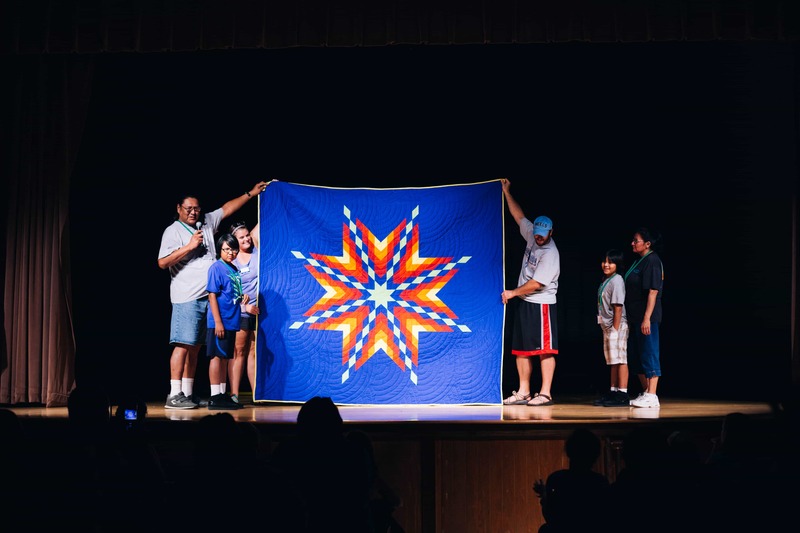 On stage night, this family gave a star quilt to camp to thank camp for their experience. The dad, William, explained that when someone does something good for you, giving them something to thank them is the Indian way; and giving a star quilt is very special. William explained that when his father died, he was pallbearer at the funeral. His mother gave star quilts to each of the pall bearers. It was this star quilt that he was giving to camp. There was not a dry eye in the house. Also, during camp week, Abhijit admired a t-shirt that William was wearing – it had a beautiful drawing of an eagle. William gave the shirt to Abhijit … watching this brought back a lot of memories. If you admire something a person has, they are obligated to give it to you. The Indian way. On one of the evenings while the families were watching a movie, William and I sat in the dining hall and talked for a few hours. We talked about reservation life and we talked about our lives. I explained to him that while I lived in Hays we became very close with one of the families there. I spoke to him about Ray and Irma and Gordon and Edith. I told him that this family were wonderful singers with a very popular drum that traveled the pow wow circuit across the western states. I told him that Ray and Irma were like parents to me and that Gordon and Edith were like brother and sister. Gordon and Ray taught me a lot about the traditional culture. All of these people have passed away. When I visited Hays a couple of years ago, I made a point of visiting their graves… and I said Kaddish for them. While I was talking to William about this family, he told me that he knew of them and the Hays Singers. Then I said Gordon’s full name to him, and his eyes opened wide… he told me that Gordon and his father were close friends. After I left Hays, Gordon had spent some time on Ft. Peck – and that is where he became good friends with William’s father. Later, Gordon moved back to Hays, and William’s dad spent time with Gordon in Hays. Going through these stories and our connections while sitting in the dining hall at camp – a camp that we were attending because our loved ones had one of these disorders… minds blown. I came to camp expecting the same very emotional experiences we have every year at camp. To have my TMA-camp life intersect with my reservation life was just not anywhere in my imagination. What a life. Two photos attached – one of me and William in the camp dining hall and my favorite photograph of Gordon that I took before a basketball game at the mission gym – Gordon was singing a flag song … and he made that hand drum. Our Annual Quality of Life Camp at The Center for Courageous Kids (CCK) was a huge success! We are incredibly grateful to CCK and all of the families, medical professionals, volunteers and staff who participated and made camp an unforgettable experience! 30 families from across 17 states in the United States and from Canada, India and Australia joined us. Here are some of our favorite moments from camp this year held from July 31-August 4, 2016! Our annual Quality of Life Camp is made possible through the generous support of The Roles Family Foundation, our members and a host of volunteer workers. We simply would not exist without your continued support! Thank you! Our “Send a Kid to Camp” fundraiser is the perfect way to support our cause and help a family get to our 2017 Annual Family Camp. Join us now! Your support really does help change lives! Click Here to Send a Kid to Camp!